We would like to thank Mrs Karen Masters for all of her hard work and dedication and wish her the best of luck on her future endeavours! We are also pleased to welcome Mr Andy Grove as the new Practice Manager of Aylesford Medical Centre! 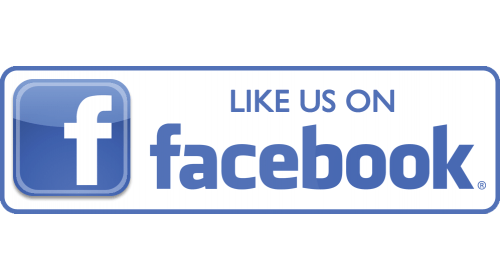 On our Facebook page you can find real-time updates, news, and useful information. You can access our Facebook page here: https://www.facebook.com/aylesfordmedicalcentre/ or by scanning the QR code below. We now have an in-house Clinical Pharmacist who has joined us as a non-medical prescriber. Her role would involve assisting the doctors and the general practice team to improve value and outcomes from medicines; consult with and treat patients directly. Some of which will include providing extra help to manage long-term conditions, advice for those on multiple medicine with the aim of improving quality of care and ensuring patient safety. Having a Clinical pharmacist in our GP practice means that our GP's can manage the demands on their time and focus their skills on more complex clinical conditions. You may be aware from the national press that General Practice is under increasing pressure from rising patient numbers, movement of workload from hospital into primary care and increasing complexity of medical care for some patients. This has been coupled with a shortage of GPs (we have been trying to recruit for over a year without success) and inadequate funding to accommodate this increase. Despite these issues, Aylesford Medical Centre aims to provide a high standard of appropriate medical care but would be very grateful for your help and cooperation in order to achieve this. Remembering that although our receptionists will try very hard to accommodate your requests, this is not always possible and maintaining a positive and constructive approach is helpful for all concerned. Accepting that, whilst we try to provide an appointment with the clinician of your choice, this may not always be possible and you may be offered an appointment with another member of the team. Giving the receptionist as much information as you can. The Partners have specifically asked the reception team to request this. Cancelling an appointment that you can no longer attend in good time. You can cancel an appointment via our website, e-mail gp.g82058@nhs.net, My GP app or Patient Access app. Requesting repeat medication in plenty of time. There are a number of ways that we can make reordering easier, like our website, e-mail gp.g82058@nhs.net or the Patient Access app. Need to see a GP urgently? Only asking for an emergency appointment if you believe that you have an acute medical problem that may get worse if left until the next day. If you have an urgent medical problem that needs to be addressed today or if you are concerned that you or your child’s condition is deteriorating while you are waiting please tell the receptionist immediately. Across Kent, Medway, Surrey and Sussex, we are beginning the phased roll-out of the new NHS111 online website. This will offer people advice and information on where to access the right care for them, based on their clinical needs and location. The website is being rolled out by NHS Digital over three phases. The first phase went live on Tuesday 31 July 2018. This website is still in its infancy, which is why it is not being proactively promoted to the public until phases two and three, which we hope to implement later in the year. However the website is searchable and accessible. The questions are similar to that used by the 111 telephony service, and use the same clinical governance. Give advice on what to do and, if necessary, where to go – and this may be to see a GP. We will be keeping you informed on the next phases of the roll-out over the next few months. Had a recent blood test or urine test? Want to know the result(s)? Please allow 5 working days before calling 01622 885880, after 2pm, to obtain your test results or accessing them online via Patient Access (please ask reception for log in details). It is your responsability to obtain your test result(s). You will only be contacted if the result(s) are significantly abnormal and if the Doctor has instructed the receptionists to contact you. Thank you for your co-operation and assistance. The practice is not taking on new patients at present due to rapid increase in our list size. The GP Partners have agreed not to accept anynew applications to join our list, except those who are from households of existing patients, e.g. newborn babies, returning students, new partners. Nationally there is an increase in demands on GPs, and this includes our practice. In order to maintain the quality and safety of the service we provide to our current patients we have had to make this difficult decision to stop accepting new patients for a period. We will review this decision on a monthly basis. In order to find a GP you may try contacting other local practices to see if they may be able to accept you if you reside in their area. You can visit NHS Choices website www.nhs.net to find all local practices. If you are unable to find a GP you may contact West Kent CCG Primary Care Team for further advice and assistance on 01622 228393 or e-mail WKCCG.patientallocations@nhs.net or write to them at: Primary Care Booking Service, Johnstone Room, Maidstone Hospital, Hermitage Lane, Maidstone, ME16 9QQ. They are likely to expect patients to have at least 3 'Unable to Rgister' letters. NHS 111 is available 24 hours a day to give advice on medical matters. On behalf of Dr Towner, Dr Philipp and Dr Sands. NHS England require that the Net Earnings of doctors engaged in the practice is publicised and the required disclosure is shown below. However, it should be noted that the prescribed method for calculating earnings is potentially misleading, because it takes no account of how much time doctors spend working in the practice and should not be used for any judgement about GP earnings, nor to make any comparisons with other practices. The average pay for GPs working at Aylesford Medical Centre in the last financial year was £77,323.21before Tax and National Insurance. This is for three full time GPs and 1 part-time GP who worked in the practice for more than six months.